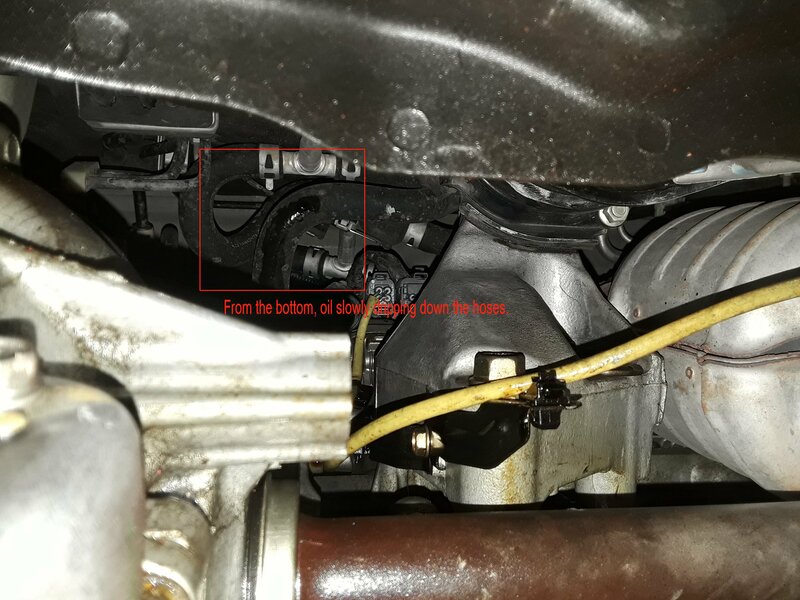 Thread: Small oil leak... ideas? I've been having a small oil leak which I kept an eye on but have not addressed yet due to lack of time. Yesterday I put the van on stands and checked from the top and bottom. The oil seems to be coming from the top rear part of the engine but I could not see exactly where. Any ideas are welcome, I need to dig in and take a closer look in the near future. I need to do a valve job sometimes this spring so hopefully by then I can identify the leak and address at the same time. 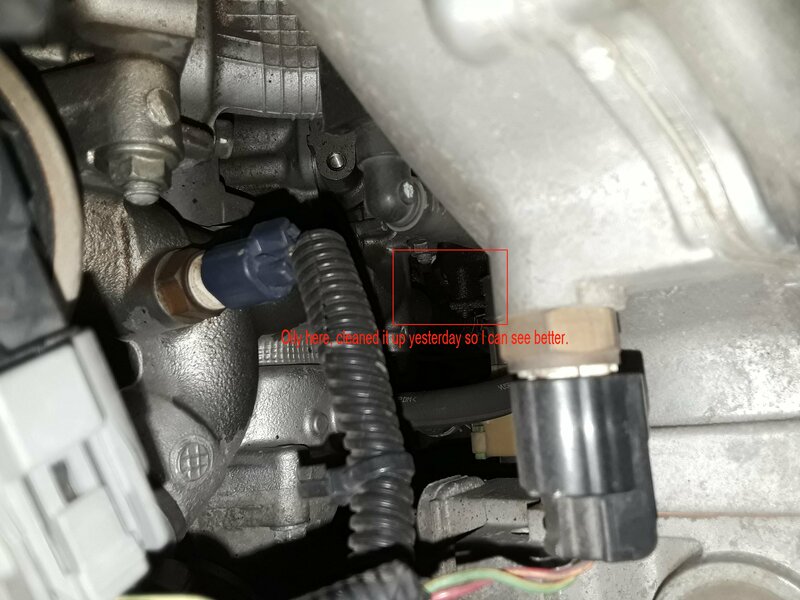 I can't orient myself from your photo, but if the leak seems to be coming from the driver's side rear area, the VTEC valve/solenoid (aka spool valve) is a very common leak source. There have been many recent posts about this here - search. Last edited by thscott; 03-18-2019 at 10:47 AM. Replaced the gaskets using Dorman and the shaft seal using Honda about 2 weeks ago. No more leaks. Had hard time getting the shaft cover off but careful prying helped. 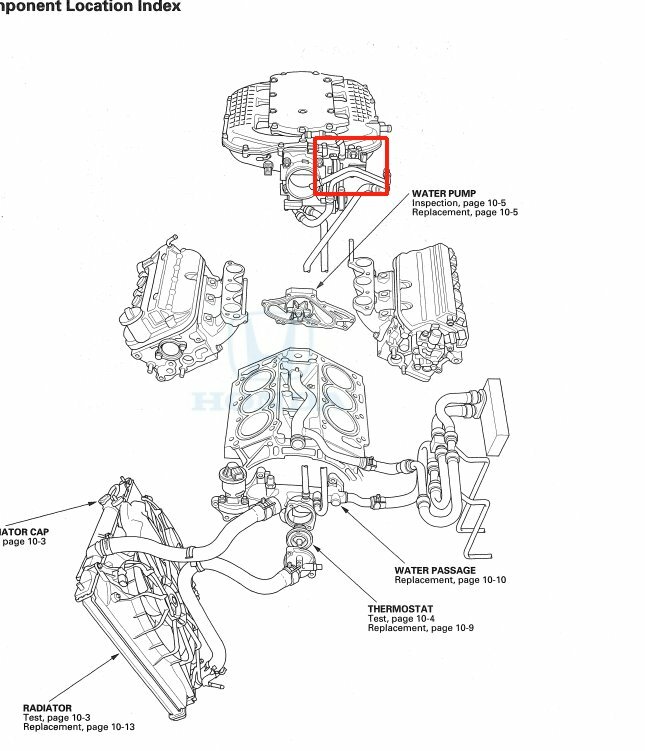 That's the area of the vtec valve. I have a leak I'm trying to track down myself. You can inspect that from the top with a mirror. If your leak never reaches the ground, I'd ignore it. In my case the oil was dripping onto the cats or exhaust. When the van was idling I could smell the burnt oil.